Can any kitchen every truly have enough Pyrex bowls or storage containers? While they truly last forever, I’m always finding new uses for my Pryex and am a little addicted to the new color lids and combinations they keep coming out with. That’s why I’m quite excited about these two Pyrex sets on sale that were created exclusively for Macy’s. Even if you don’t need these for yourself, these would make an incredible gift. Just think about it: if you have the opportunity to provide a meal for a new neighbor, someone having a baby or a friend who lost a loved one, wouldn’t it be great to send them a meal in this set and then let them keep it? In fact, you could even break the set into two sets or more for gifting opportunities. 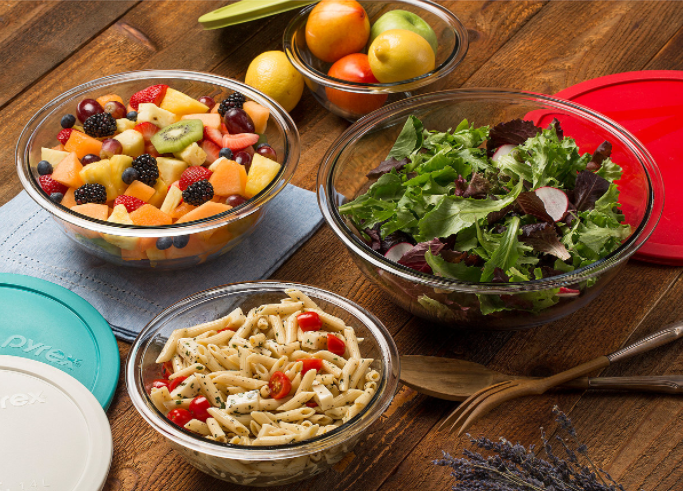 Just don’t let the opportunity to grab these Pyrex sets at such a low cost pass you by this weekend!